There are lots of doors that can lead to a university degree and if you have had one gap year (travelling, working, watching Netflix) it is even easier to go through those doors at some universities. The alternative pathways are FREE at all universities although quotas have been introduced so numbers are restricted. The government is trying to introduce fees for these pathways and universities are protesting about that so they are largely free at the moment. This pathway is available at a number of WA universities. Demonstrated proof of your abilities via a portfolio of evidence of your academic achievements and abilities, or demonstrated proof of your ability. Portfolio entry is not just restricted to the creative arts. Step UP – You may be eligible for Step Up if you meet socio-economic or educational disadvantage criteria. If you are eligible and got an ATAR Score between 60 and 69.95 Curtin will automatically bumped up to 70 which is Curtin’s minimum ATAR requirement. StepUp Bonus – this depends on the applicant’s eligibility, however this gives them an extra 5 bonus points if their ATAR is above 70. Portfolio Entry – is not only for the creative courses; it is applicable to courses like Education, Science, Commerce and Health. Uni Ready Enabling Program – this program is designed to help you gain entry into a range of Health Sciences, Humanities or Curtin Business School undergraduate courses. In terms of the age limit, applicants must be past the compulsory school age (generally that’s about 17 years old). Enabling Course in Science, Engineering and Health – this course also has the same age limit as UniReady. Depending on their course weighted average, completion of this program will meet relatively higher entry requirements and subject prerequisites, too. On Track – a 14 week course that prepares students for entry to a course with a minimum ATAR requirement of 70. On Track Sprint – a 4 week course run over the Christmas holidays that may prepare you for entry to a course with a minimum ATAR requirement of 70 or less. Murdoch University Preparation Course – year 11 and 12 courses are combined in this course. Eligible students with an ATAR of 70 and above will receive a selection rank adjustment of 5 to a maximum ATAR of 90. If your school is listed here and you need to find out more, please talk to your school careers adviser or contact the ECU Student Recruitment team on 134 328. UniPrep & UniPrep (Education Assistant Program)– This is a 6 month full time course or 12 months part time. Portfolio Entry— ECU offers the largest choice of course entry via portfolio. You need to provide an introductory letter, resume, academic records and references. UWAY – This is an alternative entry pathway and comprehensive support program for students completing Year 12 under challenging circumstances. The program provides academic, financial and personal support, and it is responsive to individual student needs, throughout their final year of secondary school and during their university studies. You can apply for alternative entry to an undergraduate degree course through UWay if your academic achievements have been adversely affected by certain disadvantages. Broadway – This scheme allows eligible students from a Broadway-identified Western Australian school to receive an automated ATAR adjustment for their application to UWA. The Mature Age Access Program allows a mature-aged student with little or no previous background in tertiary study to begin studying under a provisional enrolment without having to meet the standard entry requirements. Using this program mature-aged students have the opportunity to meet academic and English prerequisites for entry while beginning their course. Tertiary Pathway Program – 13 weeks for people who have not met entry requirements. Each faculty has slightly different requirements. See details about Student Enabling Programs at the Notre Dame site. This program is tailored to help you meet entry requirements or boost your confidence. It usually takes between 1 and 2 terms to complete (4 to 8 months). It can be completed online or on-campus. The STEP course is FREE. TEP (Tertiary Enabling Program) is an enabling course designed to cater to students of Aboriginal or Torres Strait Islander heritage. All Western Australian universities and TAFE colleges have Indigenous Entry Programs and specialised support to help students to succeed in their studies. Start your degree at TAFE and finish at university. TAFE frequently has smaller classes and more practical learning than universities. TAFE courses often provide credit points towards degrees. Check your local college for specific courses details. You can arrange an appointment with a college based career advisor to find out what courses you can take and what credits they will give to university. 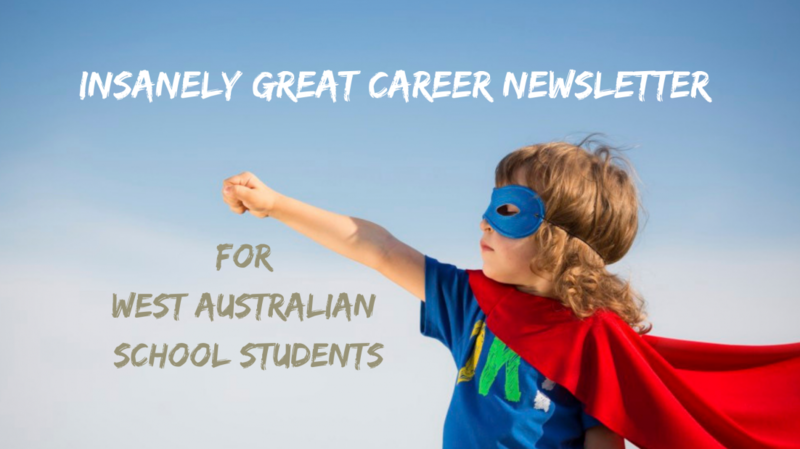 If you want to keep up with changes to alternative pathways at all WA universities, subscribe to the In Focus Careers newsletter. Categories: Alternative Entry to Uni, Career Advice, Senior school, University, Vocational Education and Training | Permalink.